A range of Options and Accessories are available for all OEM models. FL-300 Flow switch interlock. To stop operation of laser if coolant stops flowing. Strongly recommended as it protects your laser tube from damage. 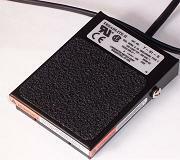 FT-101 Foot switch. To operate the laser beam by pressing Foot switch and keeping hand free to hold parts. P70-RE remotely controlable AC power ON and OFF relay (P70W only). Will allow your computer to Turn ON/ OFF the AC power to the system. LHA Lens holder attachment. Will allow direct attachment of lenses to the output apperture of the laser. (Lens not included. Order Lens separately below). All lenses are made in USA, ZnSe, Plano Convex, 1.00 diameer, AR coated on both sides. Example : LT500 is a 1 inch diameter, 5 inch focal length ZnSe lens mounted in a lens holder tube, ready to be attached to a LHA. HPN40 High pressure nozzle. 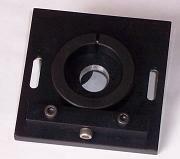 Attaches to the front of lens tube (LTxxx) to blow assist gas onto working surface.